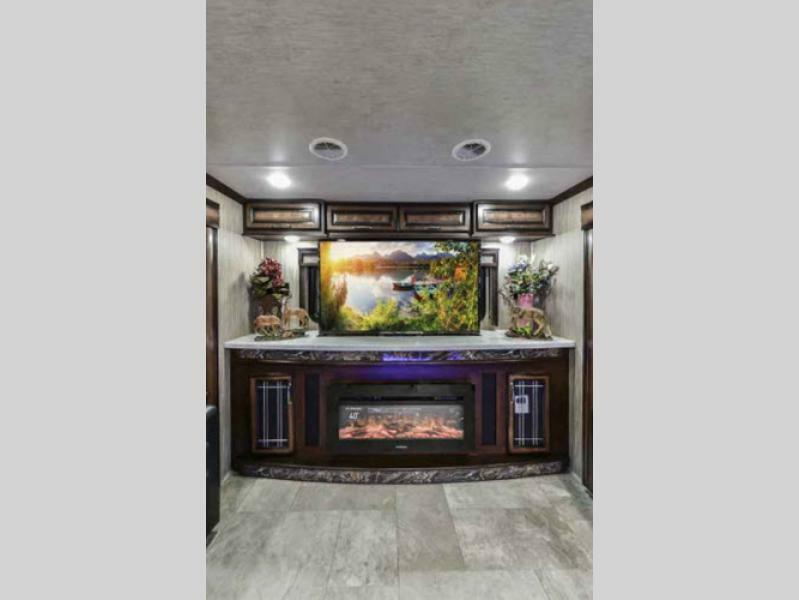 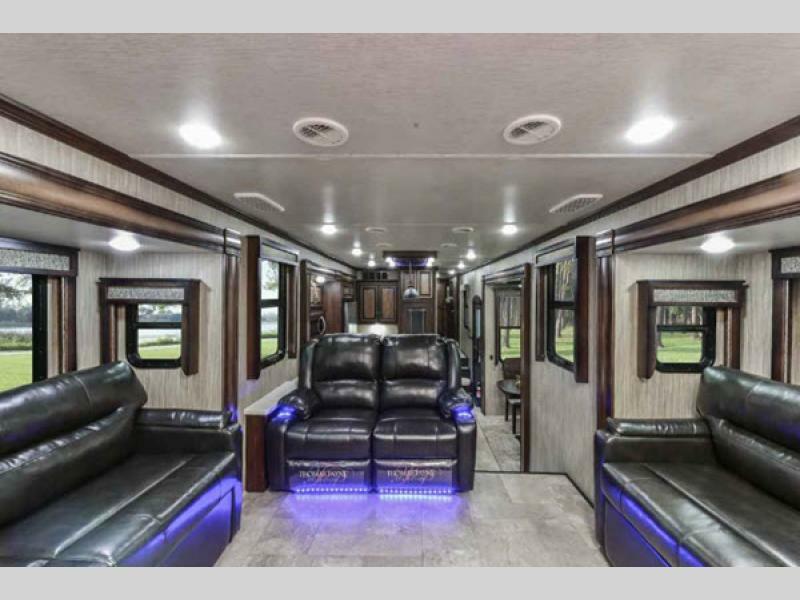 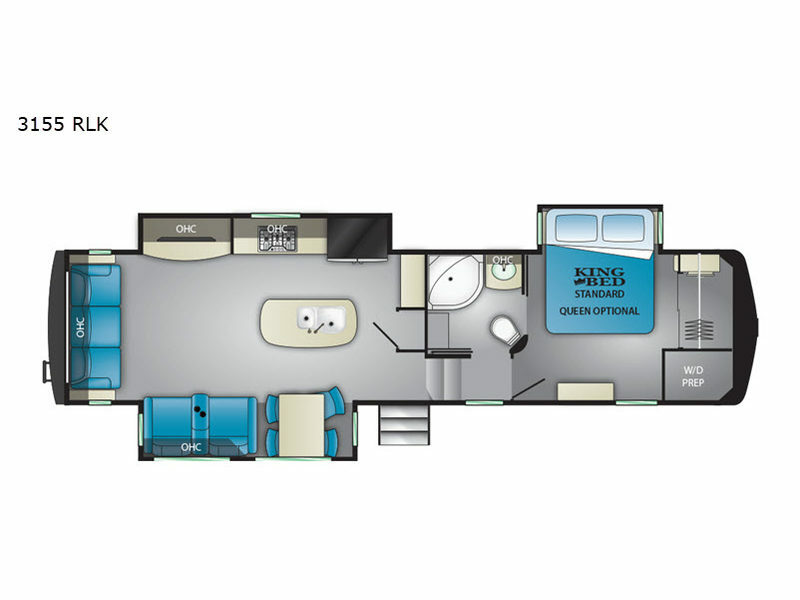 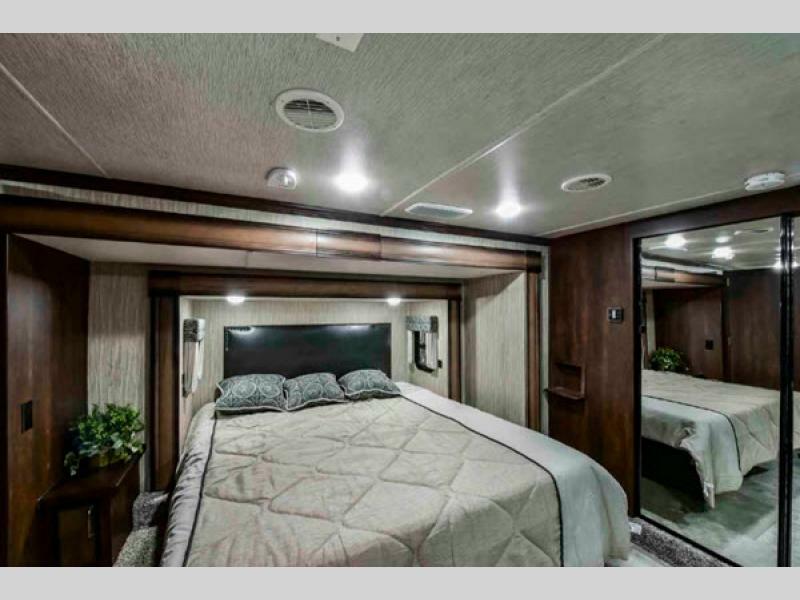 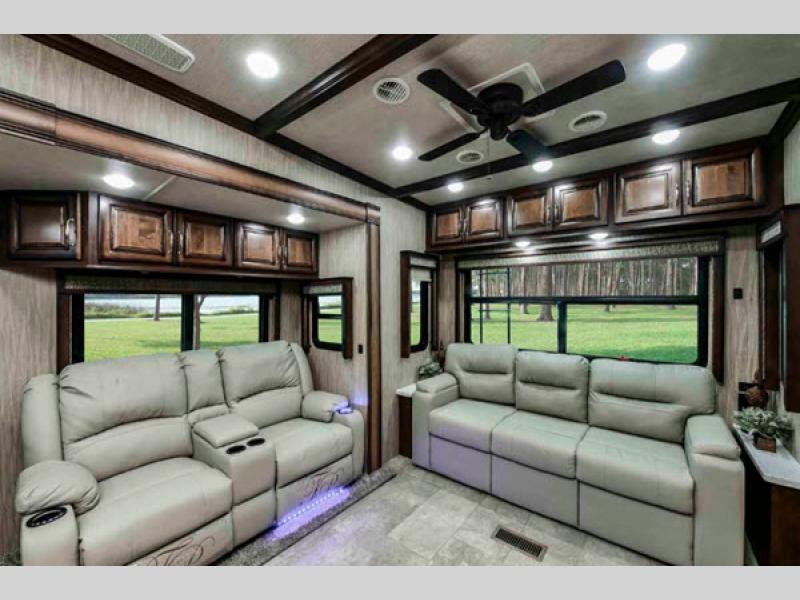 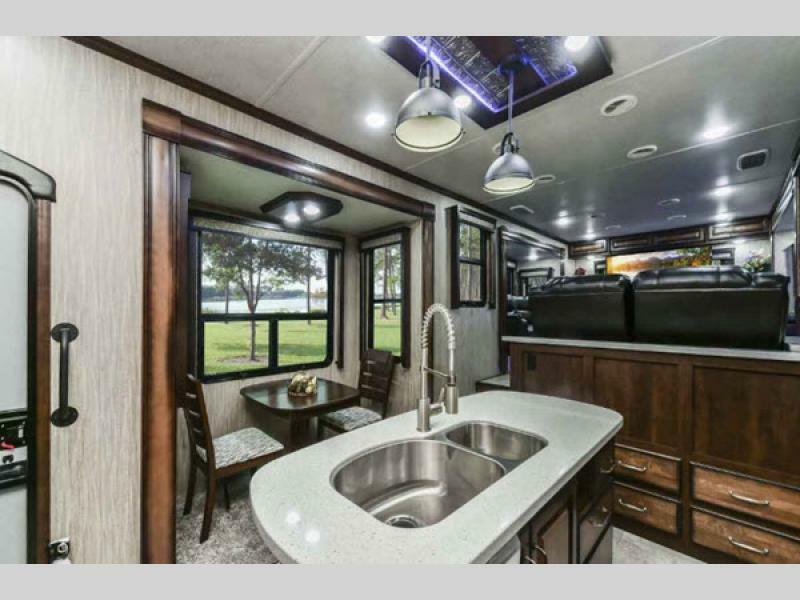 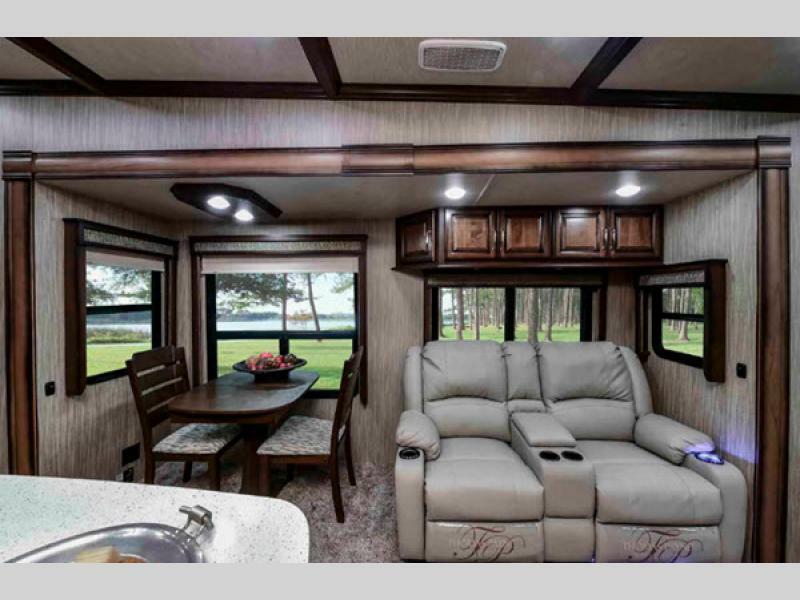 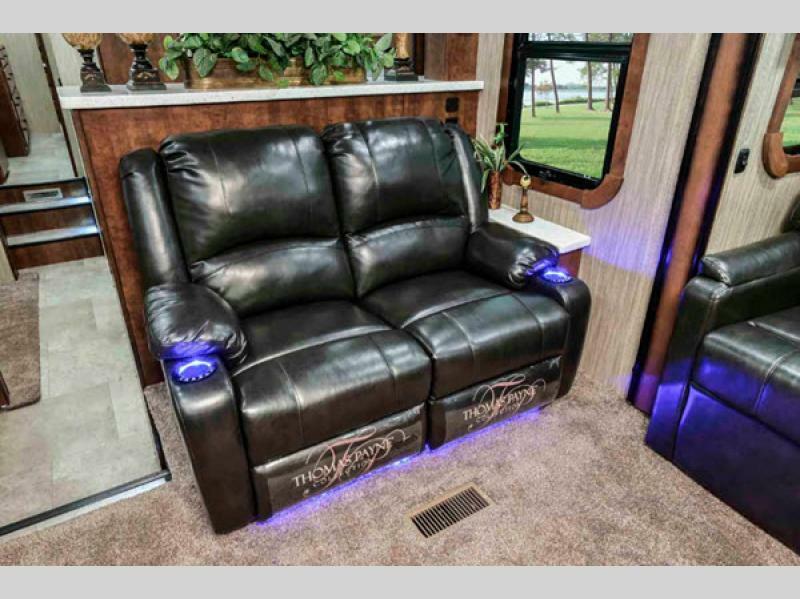 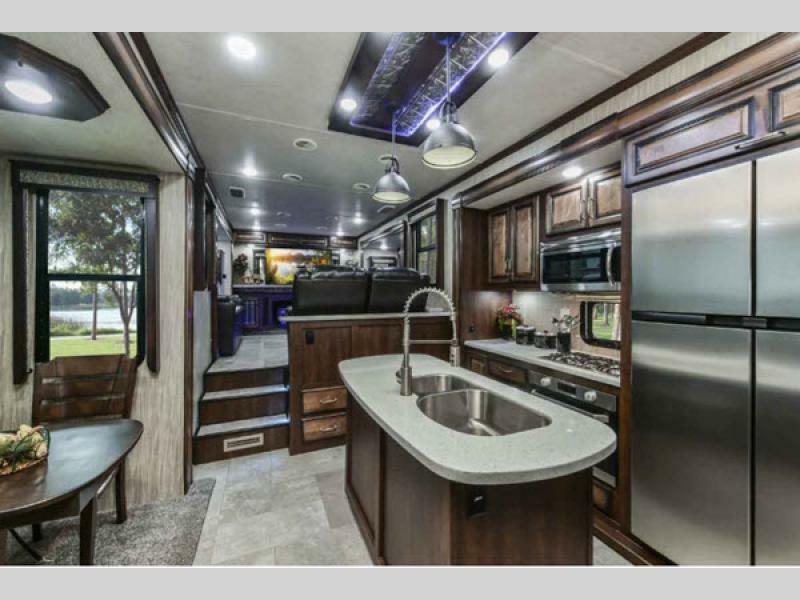 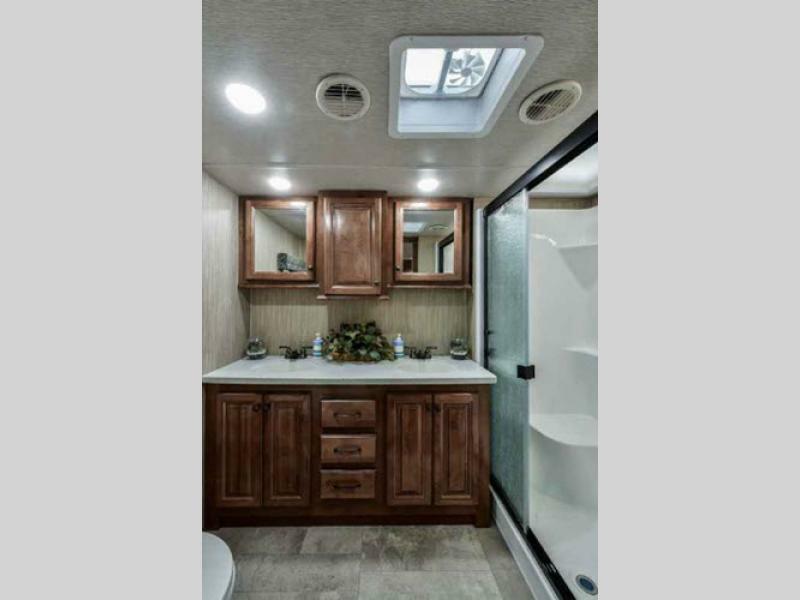 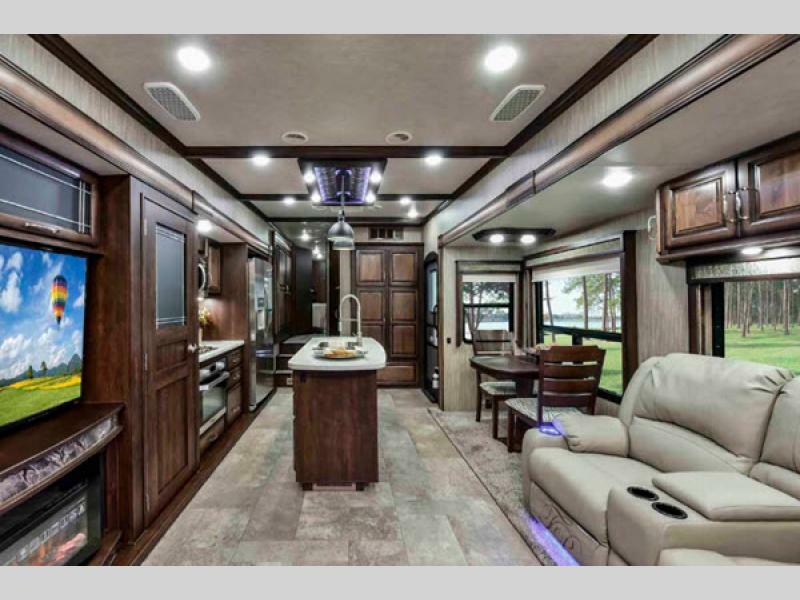 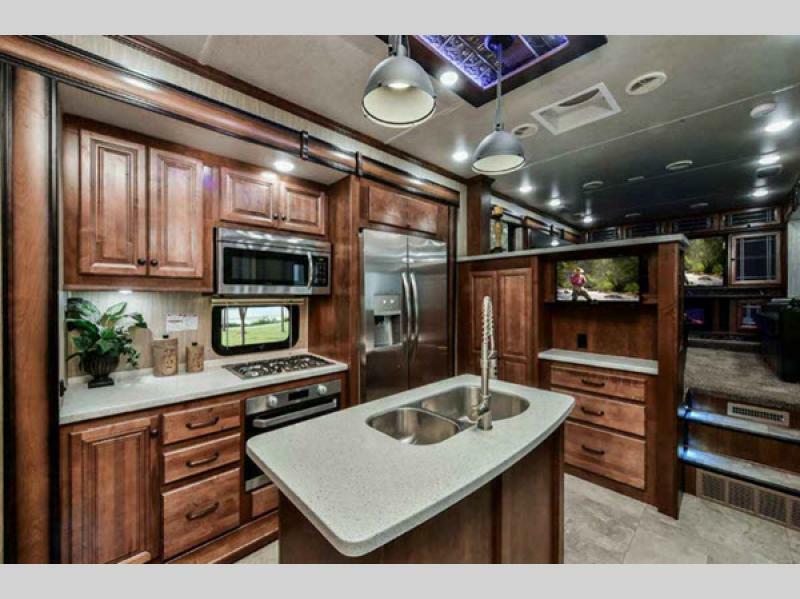 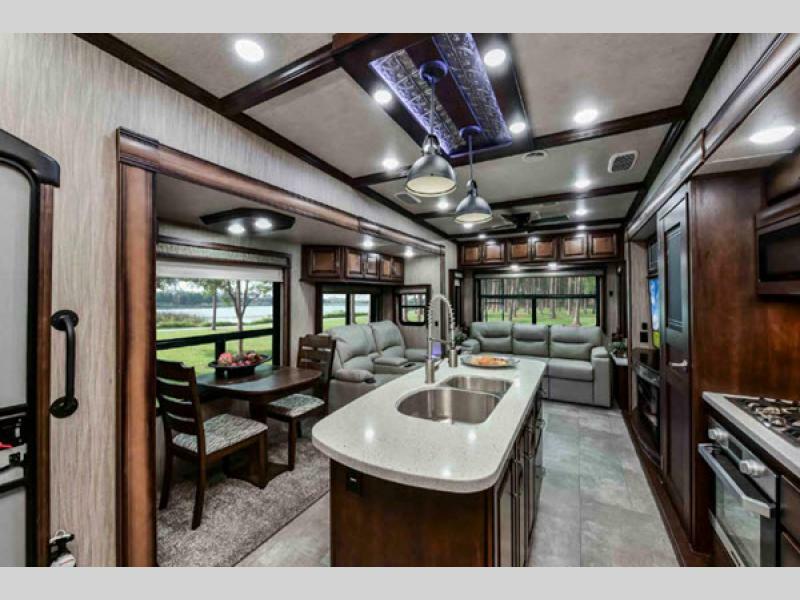 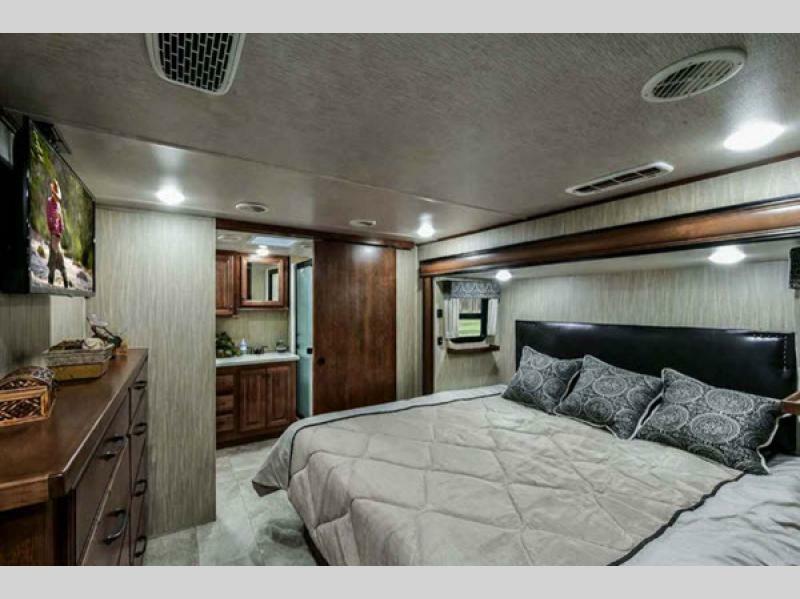 Heartland's Big Country fifth wheel will have you planning your next adventure in a heartbeat! 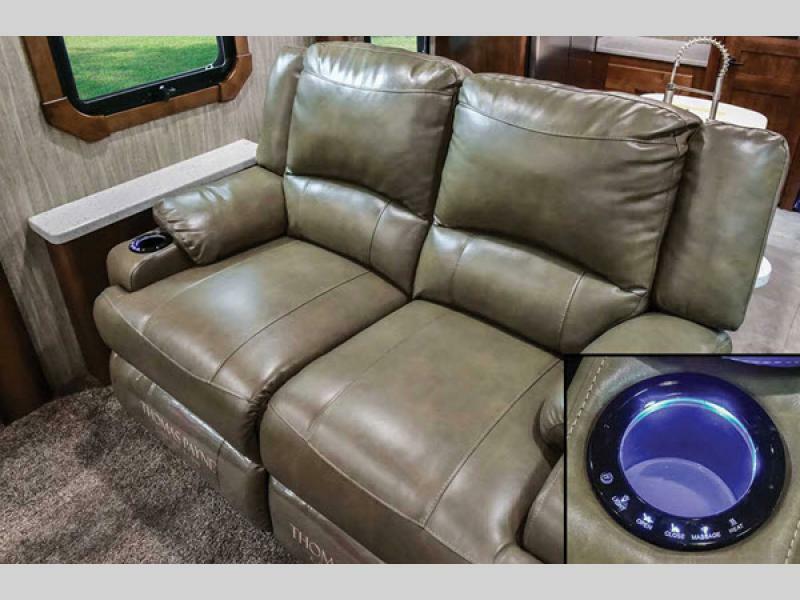 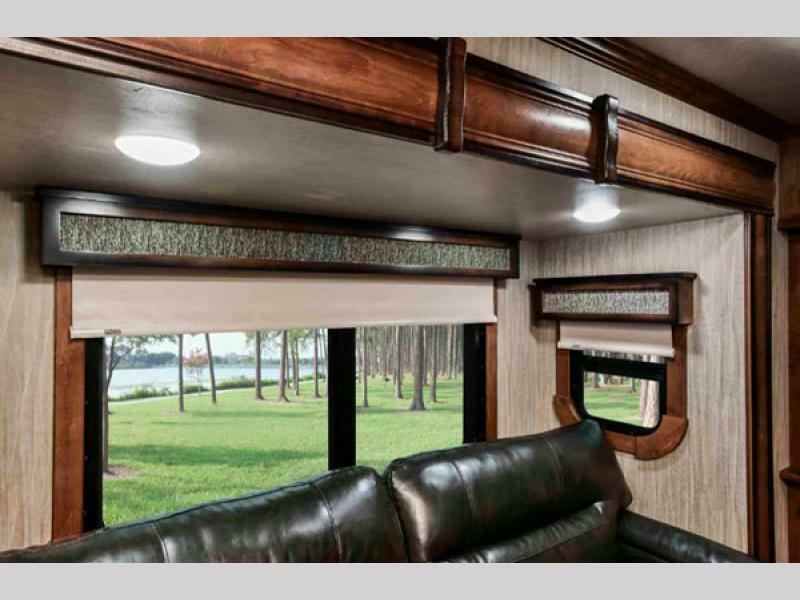 Like all other Heartland fifth wheels, the Big Country is no exception when it comes to innovative features and built-in value. 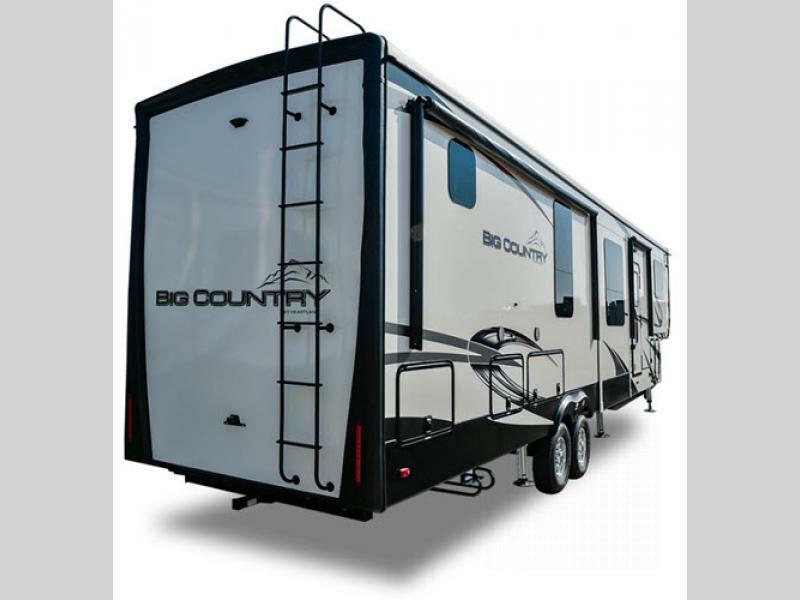 Choose Big Country for the l-beam drop frame with powder coating, the 7,000 lb. 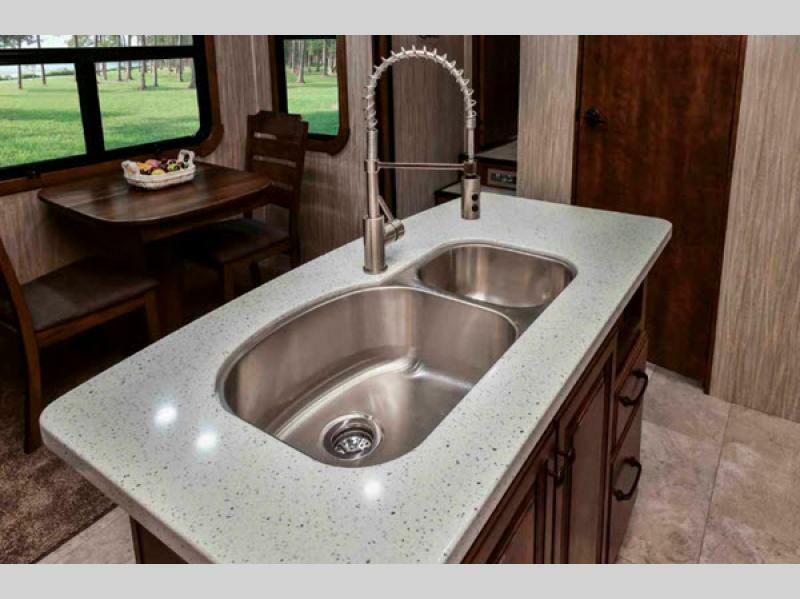 Dexter axles with easy lube hubs, or the seamless corrugated material and admire the functionality of the six-point hydraulic auto leveling, the Universal Docking Center, and the large exterior storage. 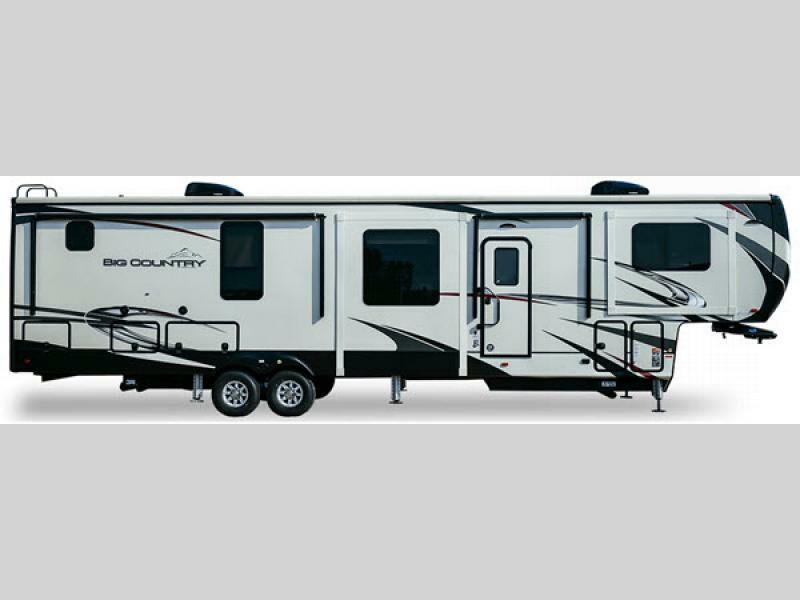 No matter why you choose Big Country, you made the correct choice. 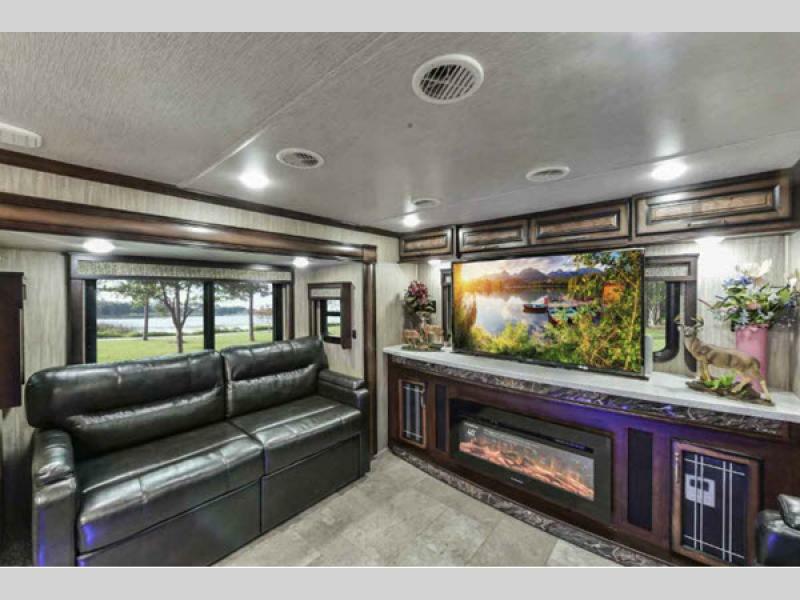 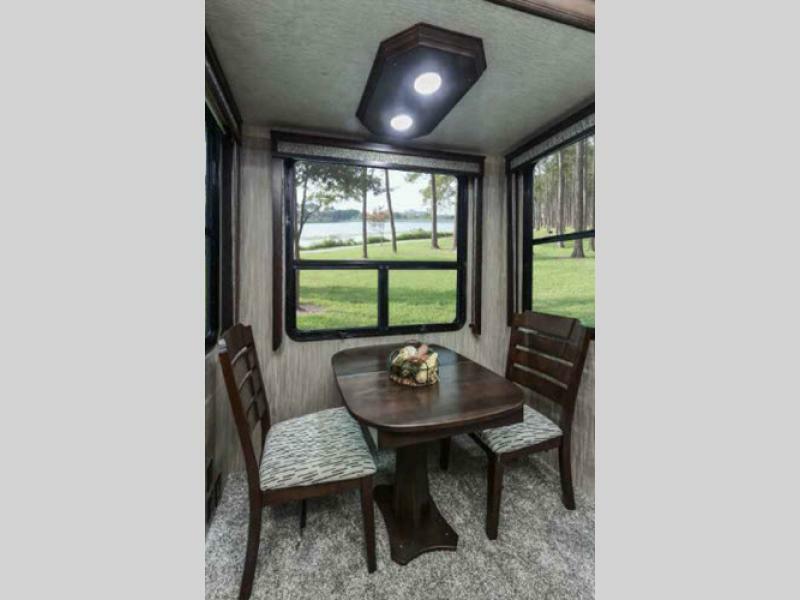 If you're destined to see the countryside, why not see it in a Big Country fifth wheel by Heartland RV today! 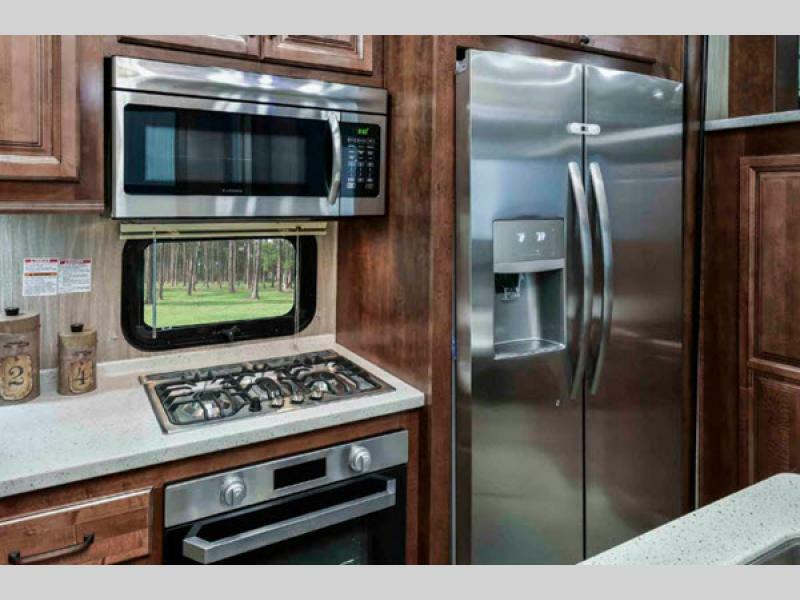 All cabinet fronts are pre-drilled and screwed together – no staples. 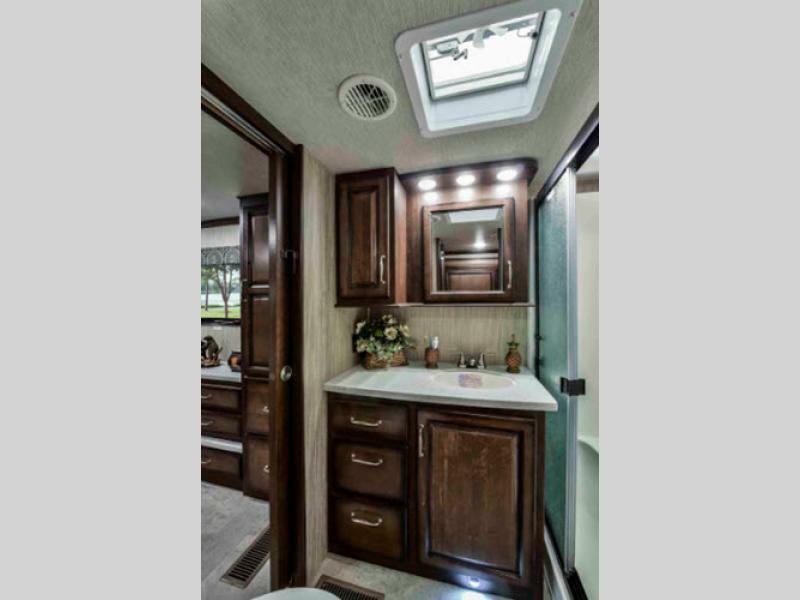 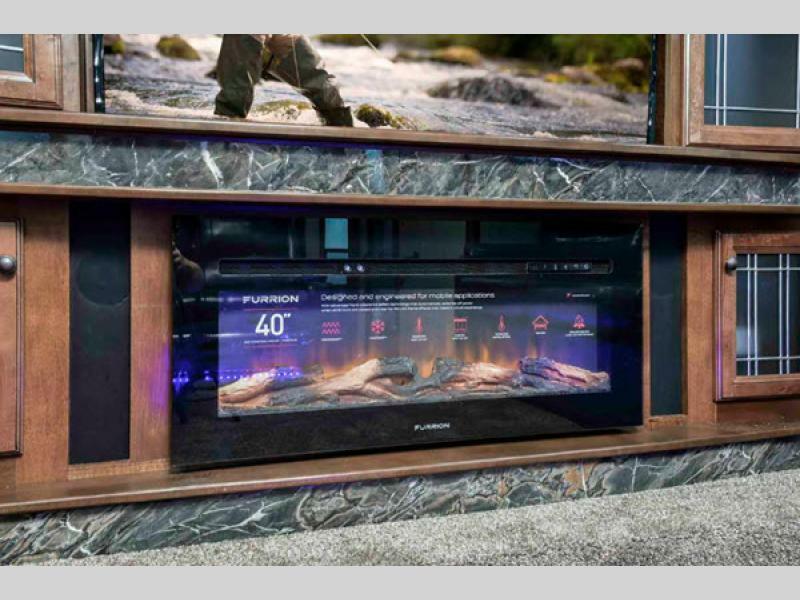 All system hook-ups in one convenient and concealed compartment. 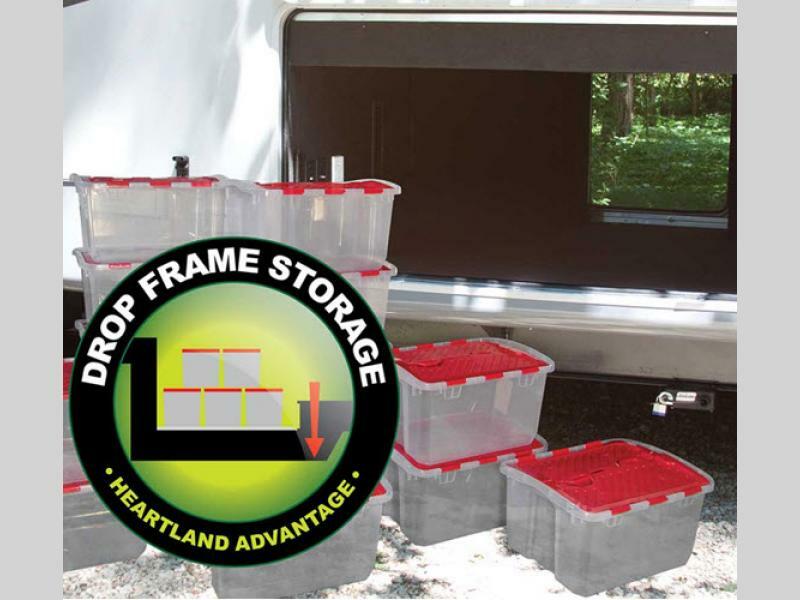 Large exterior storage fully lined with entertainment prep. 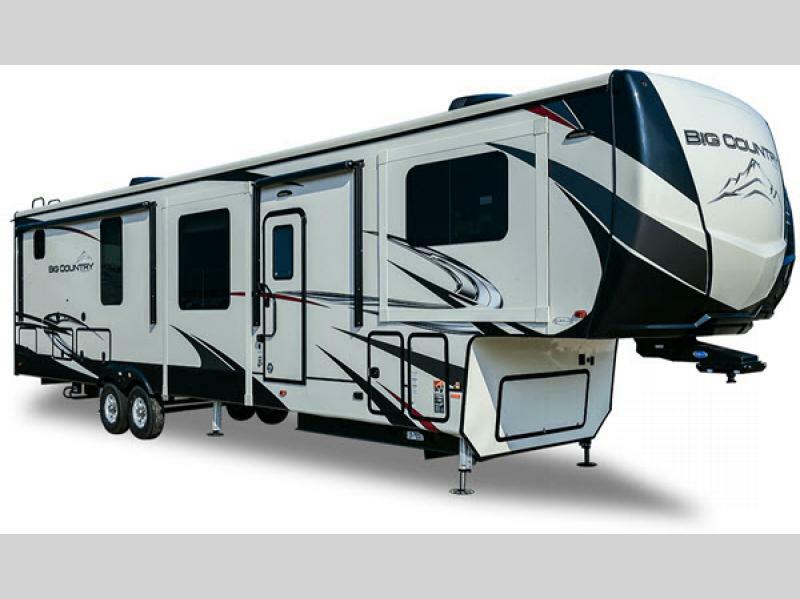 Insulated slam style cargo doors with magnetic hold backs. 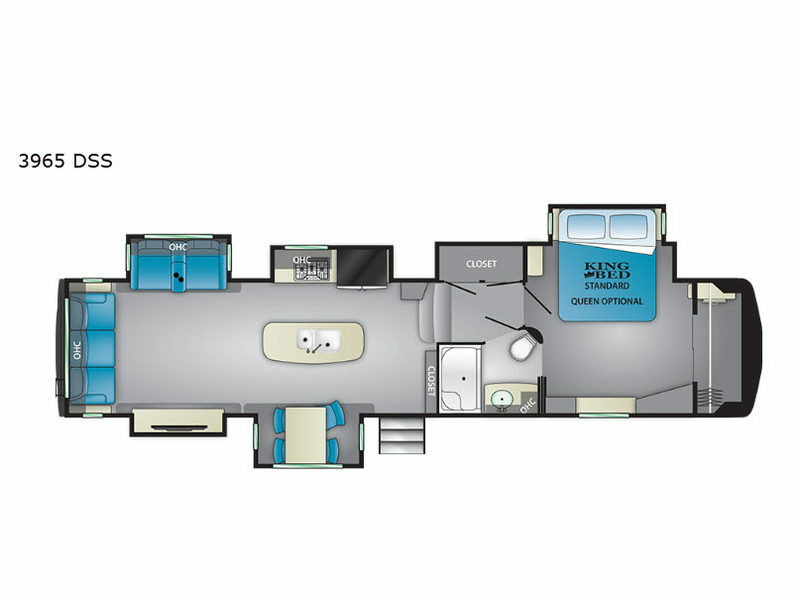 Please see us for a list of features and available options.